Democracy is overrated. Or at least ours is. True democracy is of course, priceless, but when you have to put up with a government you didn’t vote for and more to the point, you couldn’t even vote for the party you wanted to it doesn’t look so rosy. And then there are multinational corporations. You know, the people who have more power than the government. The organisations which really run our lives. Just look at the climate change issue. Or fair trade. Or the living wage. It makes you wonder what an average Joe could do. Small actions when lots of people do them add up to world changing big actions, but what if you look around you and you feel like the only one taking any action? But wait. Your action might not change the world, but it does change you. And lets face it, regardless of what happens in the world, you are still going to have to live your life, and those around you are still going to have to live with you. If it is right to take care of the planet, it is, regardless of whether anyone else is or not. For your soul’s sake, invest in the small. Besides, some people do end up as world changers and they all had to start somewhere, so never despise the small. In the end, the colour of your soul is not changed by the number of online petitions you sign, especially if you have slid into slackivism. But it is changed by the grace of God as you take each small choice, each action and offer it up to him as worship. As we do things because the are right and good, regardless of whether or not they change the world, we find that instead, we are changed and the potential that others around us will be changed appears. All it takes is one small flame to burst the dark. I was quite scared as I embarked on this book, I mean, what might I feel compelled to do? And would I have the guts to do it? It turned out to be a much happier read. Although this book is American orientated and because of its age, a little out of date as far as organisations go, it is still a brilliant book. Anyone wanting to consider what it means to really LIVE the Christian life, rather than just think about it and then go back to “ordinary” life… Will celebrate this book. As I read through it and the things I thought I might like to do began to pile up, it dawned on me that I could think laterally, and choose manageable things to do for each section. That’s not to cop out, but instead to be wise and take on what’s sustainable… And potentially see that list grow. Even if you are not a student, if you have a desire to lead a fuller, more productive, beautiful life, this book is worth your time. It turns out to be the best six quid I have spent in a very long time. 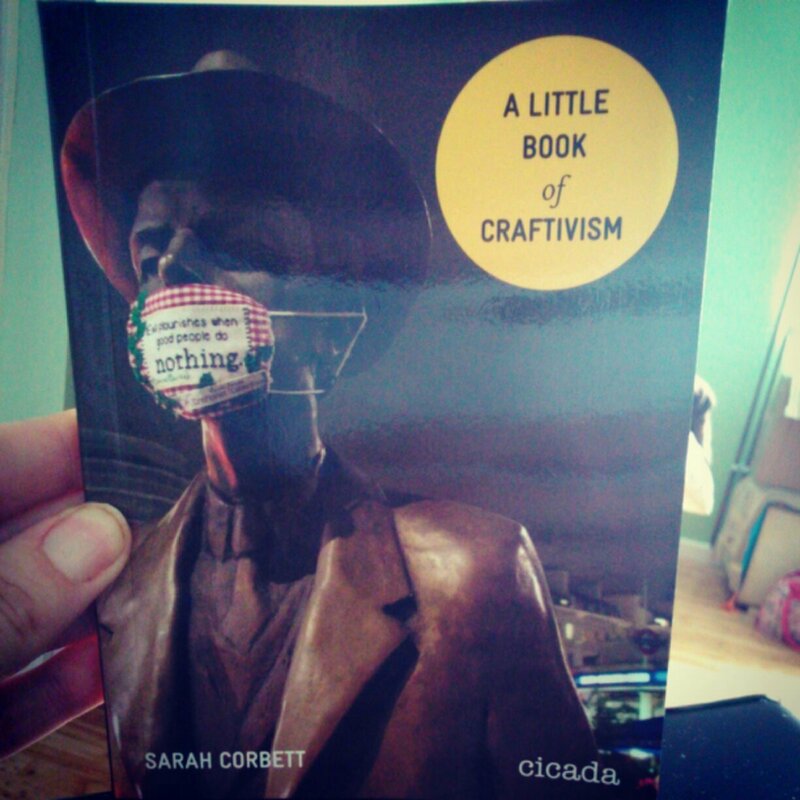 Corbett has found the elusive line between humility and passion as she describes a way of activism which I think can produce real change in both the activist and those who are on the receiving end. So much of social media, reporting and campaigning seems to have been taken over by the haters and the trolls. Here in 60 pages is a beautiful antidote. 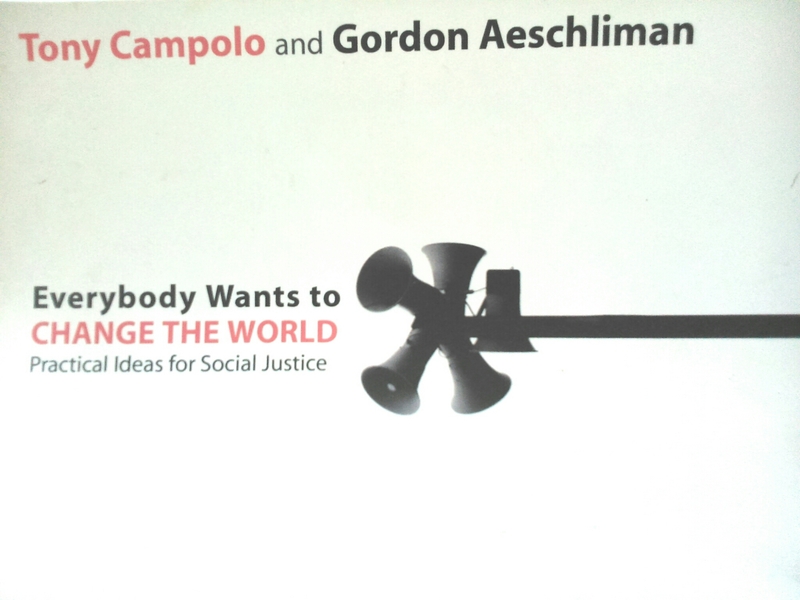 I would encourage anyone who enjoys being creative and who is interested in social or environmental justice to take hold of this book with enthusiasm.